Sony Mobiles has officially launched its latest smartphone Xperia Z Ultra in the Xperia series and now available in India. It was announced last month and the phone is a larger version of Xperia Z that has 5-inch display. Xperia Z Ultra features a 6.44-inch display that using Sony’s new TRILUMINOUS and X-reality technology with the resolution of 1920x1080 pixels. 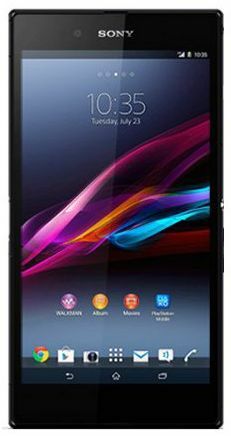 The Xperia Z Ultra phablet runs on Anroid 4.2 Jelly bean operating system and powered by 2.2 GHz quad-core Snapdragon processor. It has 2 GB of RAM, 16 GB of internal memory and expandable memory up to 64 GB. The phone comes with 8 MP primary camera with 1080p video recording feature and also 2 MP front facing camera. The Sony Xperia Z Ultra is certified to IP55 and IP57 levels for better dust and water resistance. The phone has pen input support that you can give your input via pen or pencil. It comes with some pre-installed apps like Sony Music, Sony Live Video streaming and Asphalt 7 game. Sony Xperia Z Ultra is available in black, white and purple colors and is officially priced at Rs.46990. The price is bit costlier than other brands but Saholic.com online store offers this phone at discounted price of Rs.44990. The phone will be available in all stores across the India from August 2, 2013.